Erythronium 'Joanna' It is with trepidation that I include this unique, extremely beautiful and sought after plant. 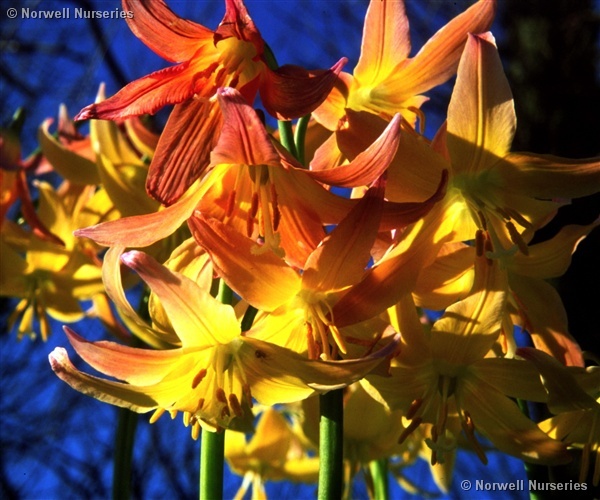 Many flowers of yellow with swept back petals which gain more peach and then pink as they mature. Clumps well and is vigorous. I always sell out quickly hence the trepidation! Part shade, humus rich soil, not dry.